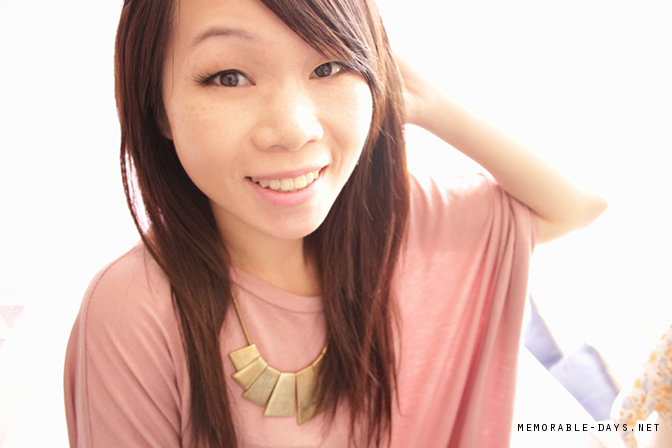 Review: Hair Extensions from 1001Extensions.nl 18 inch | Memorable Days : Beauty Blog - Korean Beauty, European, American Product Reviews. They currently have a lot of hair extensions on sale. The one that i got are normally €249,50 but now they are sold for €49,90 on their website (link to the product). It's crazy how cheap this is and according to the description on their website it's made of 100% human hair (high quality remy hair, indian hair) as well! It didn't really have a packaging. It only came in a plastic bag, without a label or card from 1001extensions.nl or anything. Maybe it will look different if they are sending it to their customers? On their website, they say that they ship their products in bubble envelopes or padded packages for optimal protection during transport. My package wasn't bubble wrapped and didn't have protection at all. I always prefer products with a nice packaging and this one didn't have any. Thankfully, the hair extensions weren't damaged, they were still in good condition. The extensions were sent from Dubai and it only took 2 days until it arrived in The Netherlands, which is extremely fast!!! It was even checked by customs, which normally takes a long time! According to their website the shipping period to The Netherlands is 2-3 days. It took 2 days for me, so i'm very satisfied about that. This is how it looks like and they gave me 3 extra clips in case one breaks or falls off. I did notice that you have to press really hard to clip it in sometimes. However, they are very sturdy so they won't break easily. Sometimes you will see a hair that's very light between it, but that's ok. It looks even more natural because it contains different types of brown. 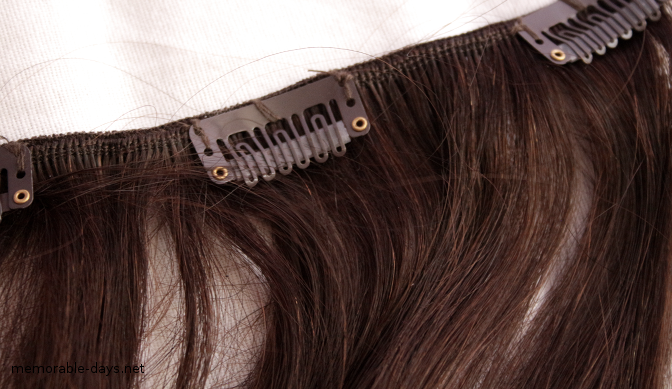 These hair extensions can be used 4-6 months if you wash it properly. There are instructions on their website on how to treat it, so read the instructions before you are going to wash it! As you can see it creates more volume and my hair is longer! I just love the length and it creates enough volume! The color of my hair in the picture below is lighter because of the sun which was shining on me. I've dyed my hair before in chocolate brown and these hair extensions blends very well with my own hair color! You can barely see the difference o.o! 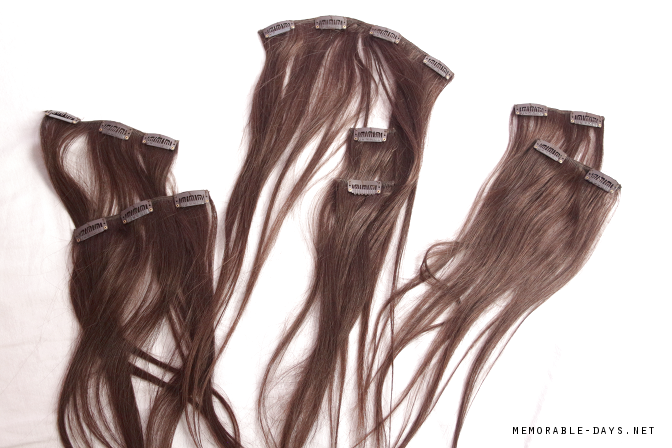 • You will be getting 7 pieces of extensions, which is a lot! Overall, I'm quite satisfied with these hair extensions. 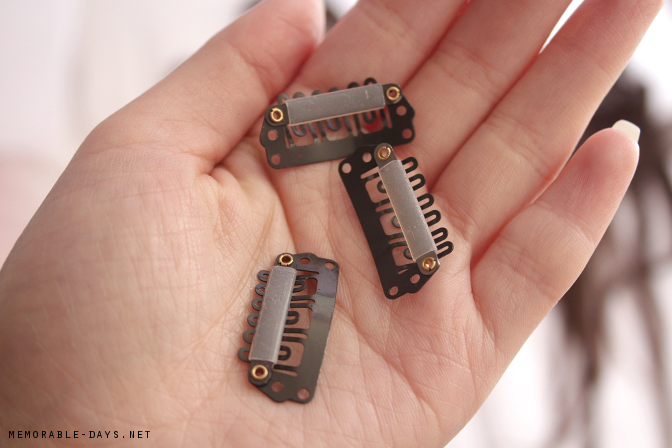 It is very easy to use, you are done within 5 minutes and it creates volume and length! The quality is good, the only downside about the quality is that the hair falls off easily without even pulling it ( i doubt it if you can really use it for 6 months ). 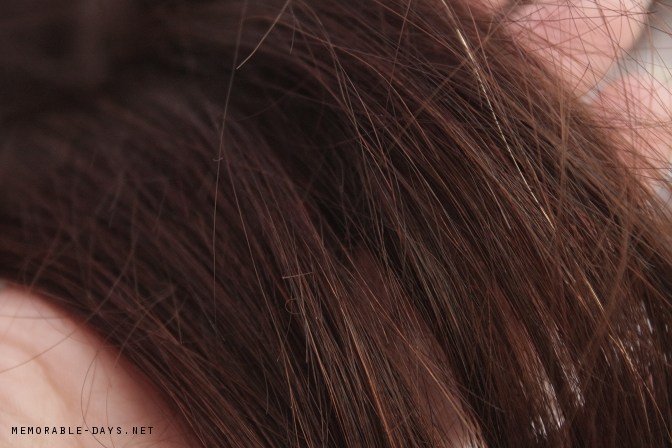 But it does feels very soft and it blends well with my own hair color which is also very important! These extensions are sold for €49,90 at the moment which is quite cheap for real human hair, so if you are interested, visit www.1001extensions.nl (dutch website). HAVE YOU TRIED EXTENSIONS BEFORE? note: this product was sent to me for review purposes.